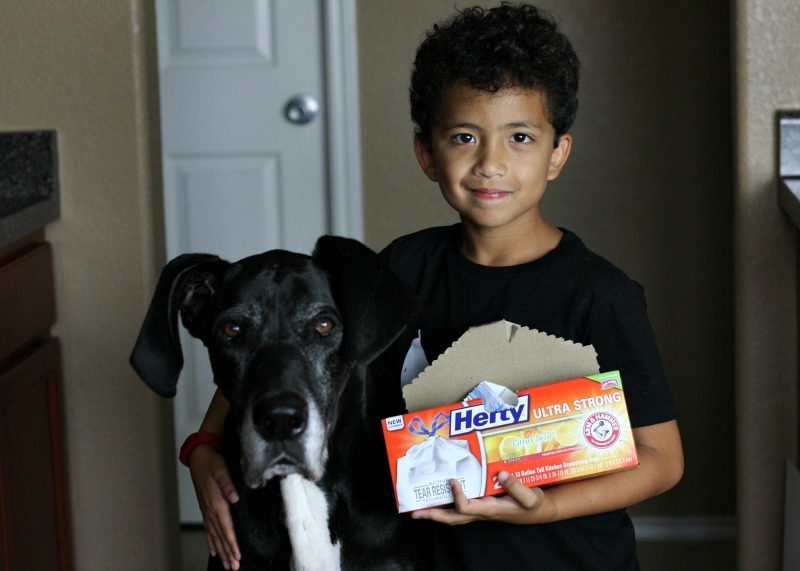 This post is sponsored by Hefty, but the content and opinions expressed here are my own. Most days I love being in the kitchen. Some days not so much. Like on those days where I somehow manage to use almost all the pots and pans I own. Or the days when your kid has friends over for dinner, the sink is overflowing with dishes and when you go to load the dishwasher, it's already full...of dirty dishes. Yes, I do love being in the kitchen. But the kitchen is also where the mess is. And sometimes I need a little more strength to get the mess cleaned up. Want to know one of my biggest pet peeves? Messy Kitchens. My kitchen can never be clean enough. It's not always perfect but I try. Between the boys, myself, the dogs and the occasional foster dog, our kitchen sees its fair share of mess. I'm thinking more along these lines. Make snacks easy for the kids to get to. There is nothing worse that getting the place all cleaned up only to find one of the boys tearing through everything looking for a snack. We have designated the bottom drawer in our fridge as the snack drawer. I also have a bin in the pantry that they can get to without moving stuff around. Wash as you go. Dad drilled this into my head when I was growing up. Washing things as soon as you are done with them. Of course, now I understand why he always made me wash things while we were cooking, because sometimes, washing as you go, is a two person job. Thankfully I have the best kitchen crew. Clear off the counters. I can't do clutter. I don't have the most counter space, so I like to keep what I do have, empty. It makes the kitchen look cleaner! Throw away any papers that have piled up. Unless they are coupons. Save those! But don't just clear them off, wipe them down too! Oh yeah! You know that little tub of sour cream that's been hanging out in the back of the fridge for months? Toss it. That box of broth you bought when a recipe you were making called for 1/2 c, yeah, pour it out at toss that too. Half empty bags of salad and expired mustard. Toss all the things! And do it before you go grocery shopping. Trying to put stuff away when the fridge is already full means more stuff will get pushed to the back! Wait, what? You heard me. My kitchen not only look better but it smells better too. Sigh. OK confession time. John Cena isn't actually in my kitchen. 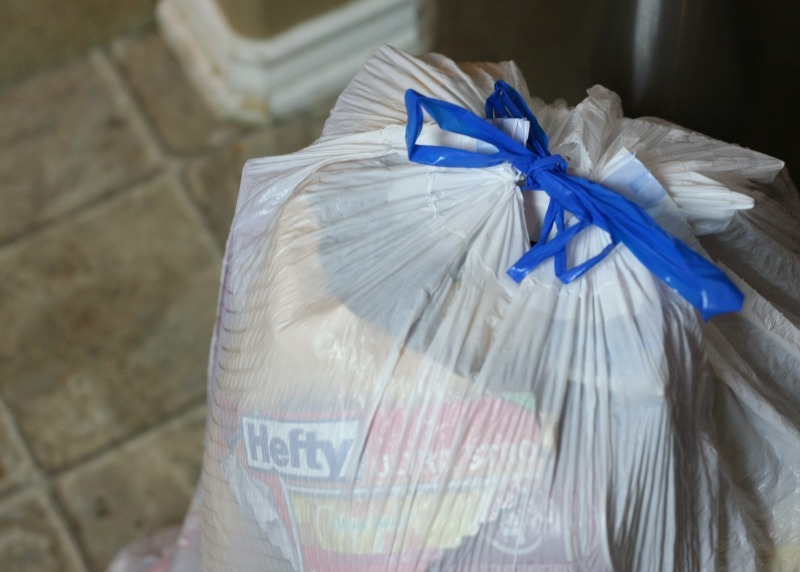 I mean he is welcome anytime, but for now we will just have to think of him every time we use our Hefty Ultra Strong Kitchen Trash Bag. With the Arm & Hammer patented odor neutralizer, tear resistant technology and a break resistant grip drawstring these are Hefty's Best! But don't let the name fool you. The bags are tough on odors and don't rip under pressure but they will go easy on your wallet. Not only are they cheaper that Glad Bags but for more savings be sure to grab THIS coupon for and save $1.00. 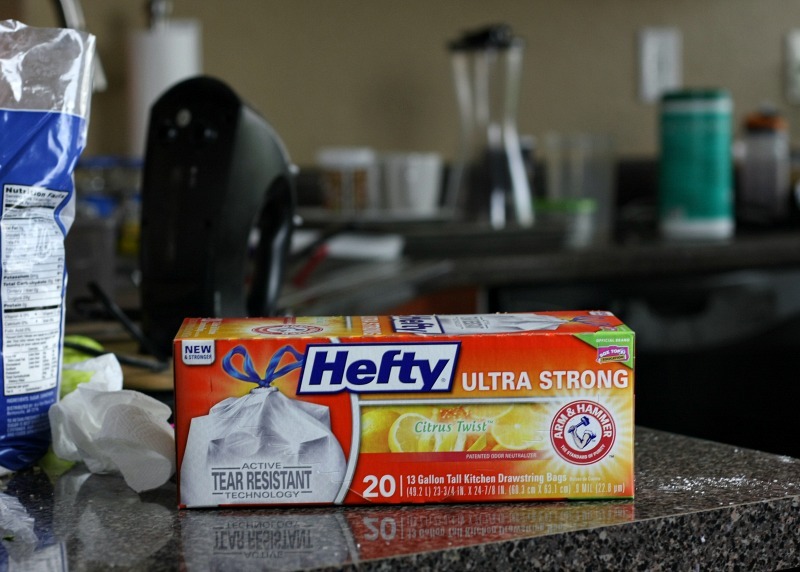 Hefty Ultra Strong Kitchen Trash Bags come in 7 different scents. 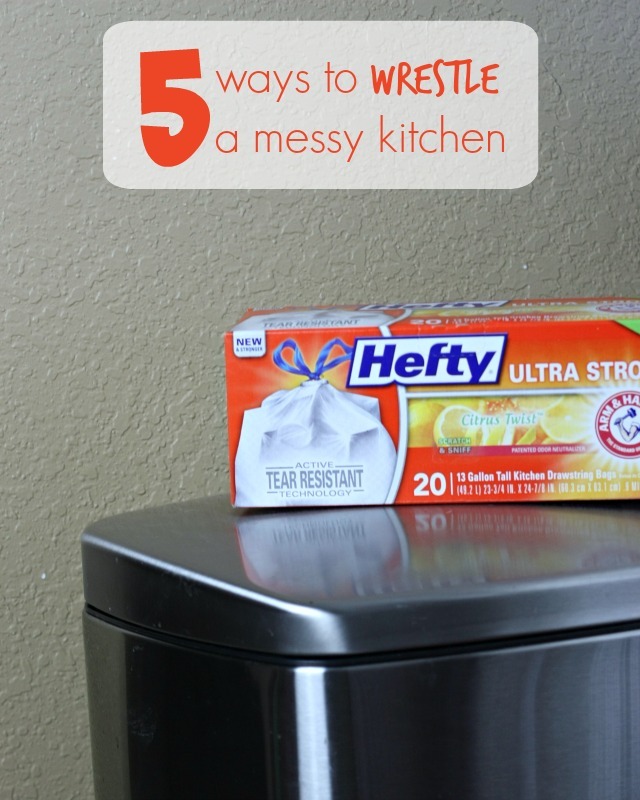 I tend to always lean towards citrus smells for the kitchen, so we get the Citrus Twist Ultra Strong Bags. Clean Burst and the Crisp Orchard Apple are next on my list. Which one of these will you try first?